Cecil E Bryan was born in 1878 in Irving, IL. 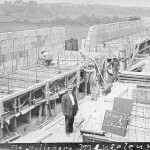 Upon completion of his education, Cecil went to work for Frank Lloyd Wright for one year. 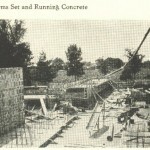 Then, he spent another year with Ralph Modjeske, who was a pioneer in the use of reinforced concrete. 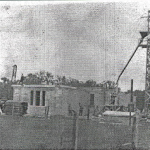 Mr. Bryan began building mausoleums, using reinforced concrete and other materials, as early as 1912. Mr. Bryan is accredited with building over 80 mausoleums all across the country: Arkansas, California, Illinois, Indiana, Iowa, Georgia, Kentucky, Michigan, Minnesota, Missouri, Montana, Oklahoma, Oregon, Pennsylvania, Tennessee, Utah and Wisconsin. 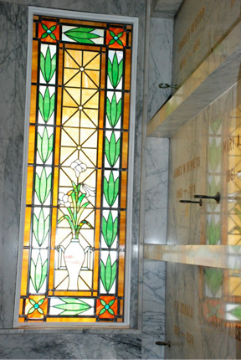 As of today, we know of 19 mausoleums in Illinois alone. 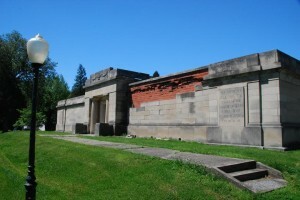 He is interred in one of his own buildings, the Mountain View Mausoleum in Aldadena, Ca. It is sad to say, but we also know a few of his buildings are not standing today. 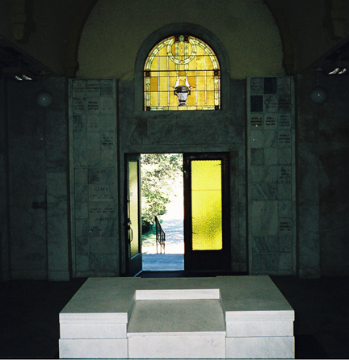 The mausoleum in Russellville, Ark. is one of them that we have already lost. 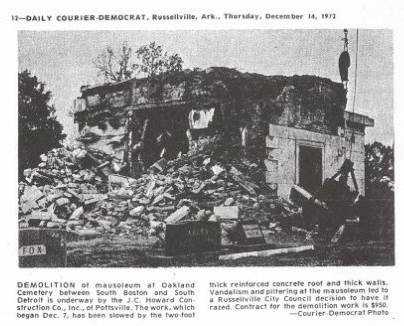 I can only hope and pray that this never ever happens to the Beecher Mausoleum. 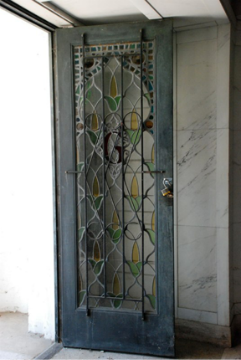 Another of Cecil’s mausoleums is in danger of collapse in Harrisburg, IL. I hope we can find a solution to protect the resting places of tens of thousands of people all across our country. 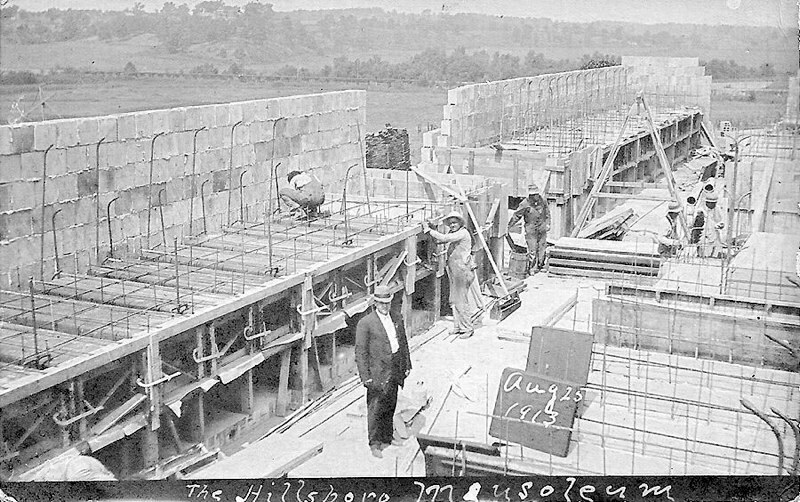 Here’s a link to the YouTube Video about Harrisburg’s mausoleum pictured at right. Cheryl and Cecil E. Bryan III are trying to locate all 80 of Cecil’s Community Mausoleums, so if you think you have one of these wonderful gems in your town, contact Cheryl and she’ll add you to the list. 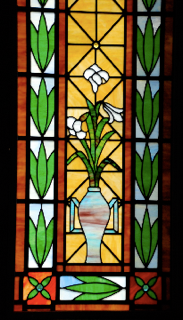 We know that Cecil used Louis Comfort Tiffany’s stained glass windows in early mausoleums he built. 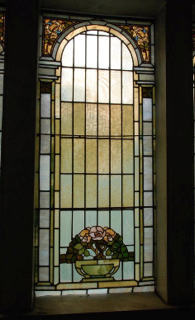 We can’t say if the Beecher Mausoleum had original Tiffany windows, but some of his mausoleums still standing today have original signed Tiffany windows. 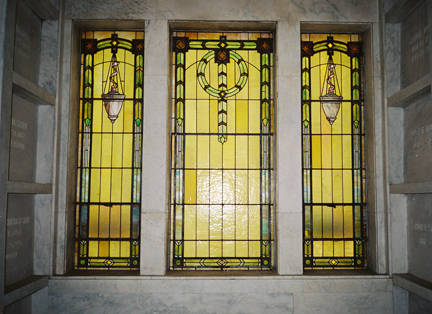 Here are a few examples of Tiffany Windows in his other mausoleums. 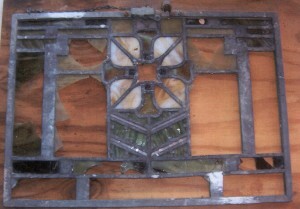 Pictured below is what we have left from the Beecher Mausoleum’s stained glass windows. They are similar in style to Cecil’s early works. 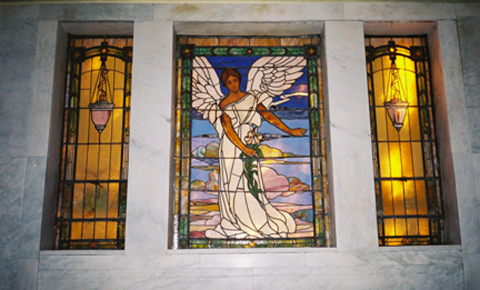 Can you just imagine if the Beecher Mausoleum still had stained glass windows, and they were confirmed to be from Tiffany? Today’s estimated value might be $1.5 million or more, based on recent sales of other Tiffany windows. 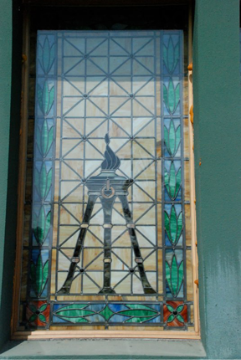 If there is a stained glass artist out there who can help us replicate the small window pictured above, please contact Sandra. 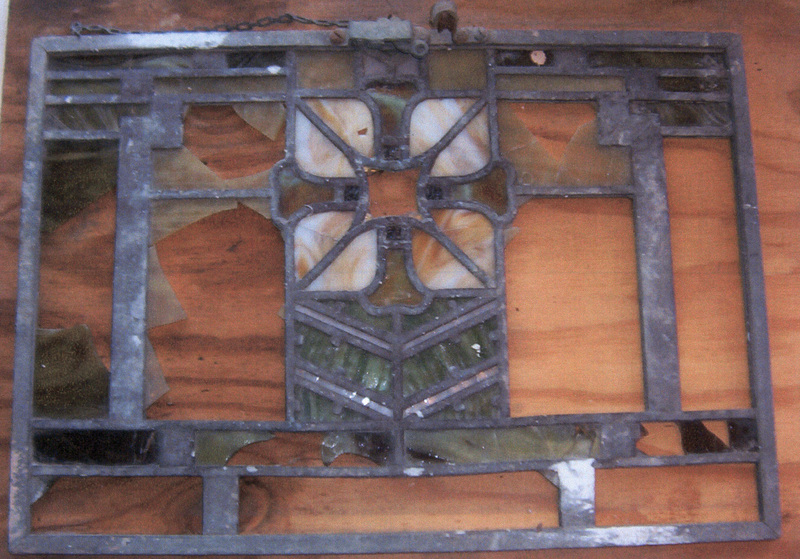 If anyone can find an old photo of the Beecher Mausoleum’s original stained glass before 1937, when we know vandals destroyed the windows, we would truly love to hear from you. 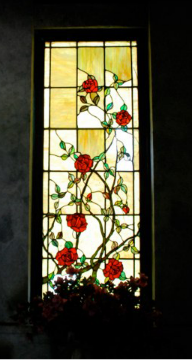 Our hopes and dreams are to one day have at least one panel made and re-installed in the mausoleum to reflect the beauty the building once had. Sandra, I met you at the Memorial Day opening of the Mausoleum. 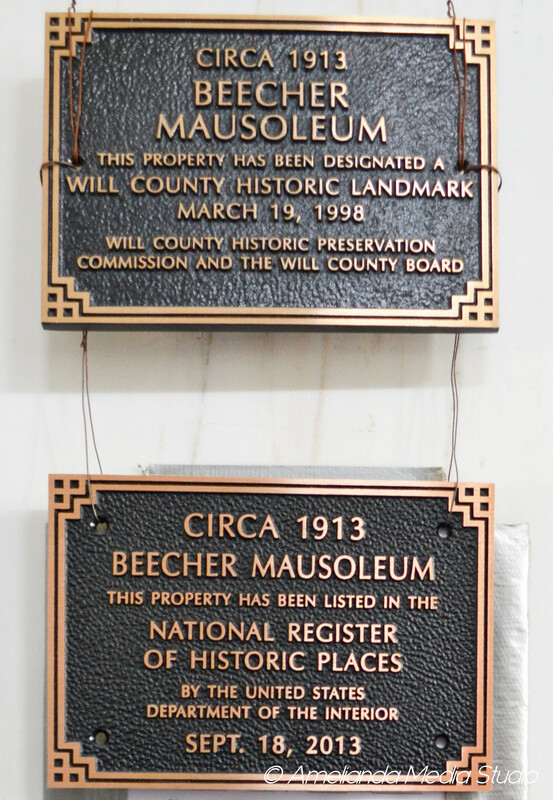 I’m a member of the South Suburban Geneological and Historical Society. I’m also the person who works for the steel mill – Arcelormittal (previously Inland Steel). I also have dabbled in Stained Glass. 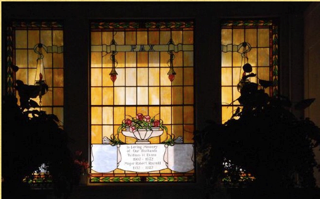 From the Cecil Bryan website, I saw a better picture of the glass in the Family Crypt. I think I may have a pretty good idea what the glass looked like. But I need the sizes of the windows: 1. )Family Crypt, 2.) Transom, 3.) triple window sets. If you give me the sizes, I’ll draw up a cartoon of what I think they looked like and show you at the November SSGHS meeting. 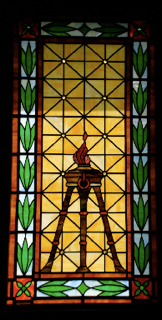 My suggestion is that there is a lot of technical difficulties with stained glass over 12″ high (the lead tends to slump over time and temperature – and has to have steel rods across the width that the lead is attached to every 12 inches). My suggestion would be to try something like stain glass “painting on plexiglas”. 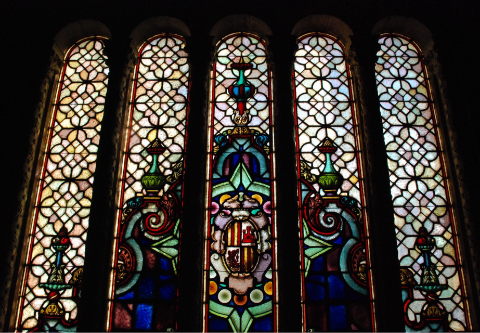 Which is less prone to breakage, and slumping damage and slightly less expensive than true stained glass. Let me know the sizes and I’ll get working on the cartoons.